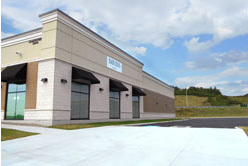 Based out of Pittsburgh, Pennsylvania, Jerry Horn Construction, Inc. has been serving the commercial, industrial, and residential construction industries since 1988. Our combined experience in all construction sectors allows us to fast track buildings of large square footage while paying attention to details needed in personal living spaces. We are licensed in most states in the United States, Puerto Rico, and four provinces in Canada. We have vast commercial experiences throughout the United States and Canada that will suit your needs for any construction project. Our experience spans many industries including: retail, religious, restaurant, municipal and recreational, and healthcare. 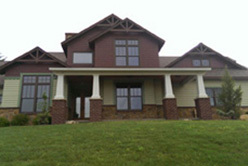 We also serve the greater Pittsburgh area with residential construction, building new custom homes, including design builds of period style homes, in addition to large scale renovations and additions. We offer the same commitment to all of our customers…quality construction with a highly skilled team dedicated to meeting your personal needs. We build new, custom homes, including design builds of period style homes, in addition to large scale renovations and additions.